FF Pressure transmitter basic configuration parameters are L_Type, XD_Scale, OUT_Scale and Channel. These parameters are configured in Analog Input (AI) Function block of FF transmitter. The below problems shows the pressure transmitter configurations for different cases. A pressure transmitter with a range of 0 – 100 psi. How to configure a foundation fieldbus pressure transmitter ? The level of an open tank is to be measured using a pressure tap at the bottom of the tank. The maximum level of the tank is 16 ft. The liquid in the tank has a density that makes the maximum level correspond to a pressure of 7.0 psi at the pressure tap (see below Figure). The table below lists the appropriate configuration settings. Analog Input function block configuration for a pressure transmitter used in level measurement (problem #1). 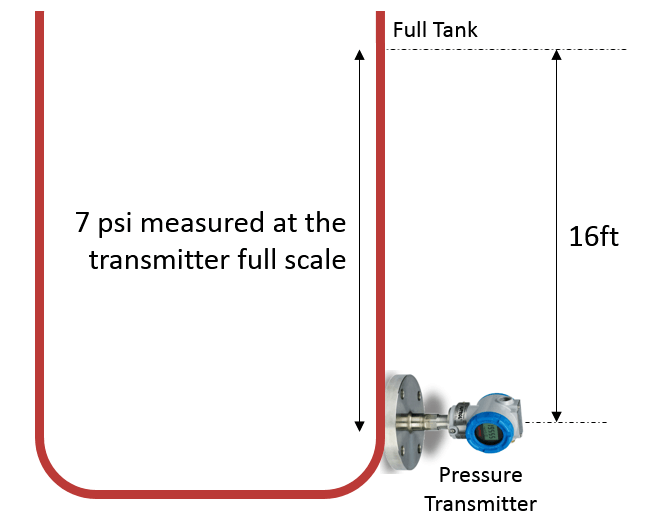 The transmitter in problem #3 is installed below the tank in a position where the liquid column in the impulse line, with an empty tank, is equivalent to 2.0 psi (see Below Figure ). Analog Input function block configuration for a pressure transmitter used in level measurement (Problem #3). OUT = [ (4 psi – 2 psi ) / (9 psi – 2 psi) ] x ( (16 ft. – 0 ft.) + 0 ft.) = 4.57 ft. The liquid flow in a line is to be measured using the differential pressure across an orifice plate in the line. 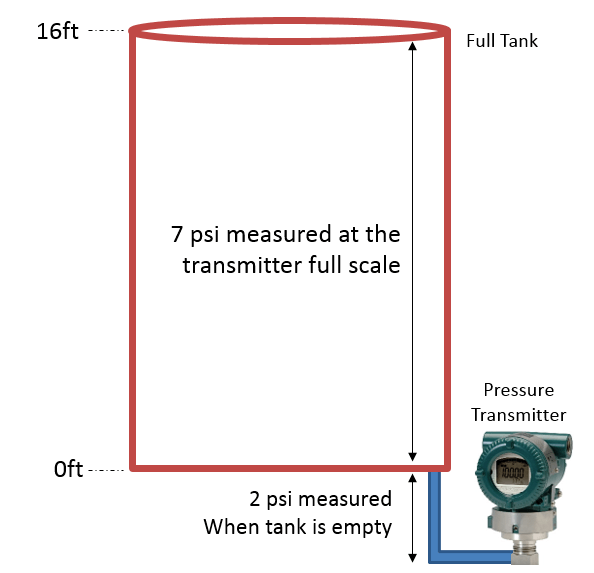 Based on the orifice specification sheet, the differential pressure transmitter was calibrated for 0 to 20 inH2O for a flow of 0 to 800 gal/min. Hi, Already available in “Level Measurement” Category. Please check.